easter – …yours truly, Andiispice. We’re celebrating Jesus Christ’s death and resurrection, that’s the reason for the season…abi? That’s why we have Easter. 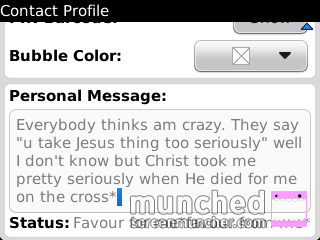 So I came across someone’s personal message on bbm, and it rang so true that I just had to share it. You see, I get that a lot from folks around who don’t understand, or who have some personal bias against some churches, that kind of thing. Like it says in the picture, Jesus cared enough to die for me! Happy Easter everyone! Thank God it’s Good Friday! While for some people it’s just another holiday, for a lot of others it’s a time of celebration…Jesus died! So if He died today, shouldn’t I be sad and weeping? Well, I wish He didn’t have to suffer so much, but the reason and result of His death is sure worth celebrating! 1 Peter 2:24 says that He died that we might live for righteousness…wow! Yes He died, but the joyful thing is that we know He rose again! That’s what makes Christianity different…that’s what makes us different! We’re not in search for truth, we have the truth! God’s love is so overwhelming. Just imagine, while we were yet sinners, Christ died for us (Romans 5:8). So now that I’m born-again, I know that love just keeps waxing stronger. 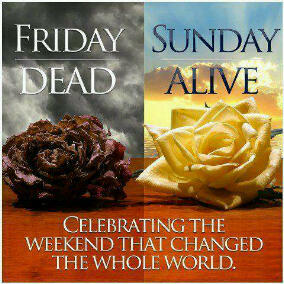 He sent His Son to die so that we might live a victorious life of favour and unlimited success. Happy Easter everyone…woulda kept writing, but my eyelids seem to have a mind of their own, *yawn*…one luv!